Catching up on this trip over a month late! After that series of posts on our Korea trip I had to take a breather, but I’m back now. Right after our Korea trip, meaning the day we arrived back in San Fransisco, we all hopped on a plane to fly out to Boston so that I could make it to some meetings in in Southborough, MA. 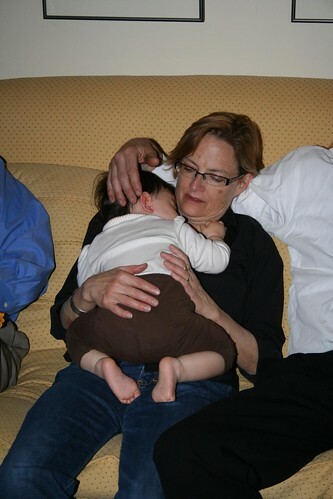 Considering that we had already flown for 12+ hours that day, Hazel handled the 6 hour redeye flight east really well. 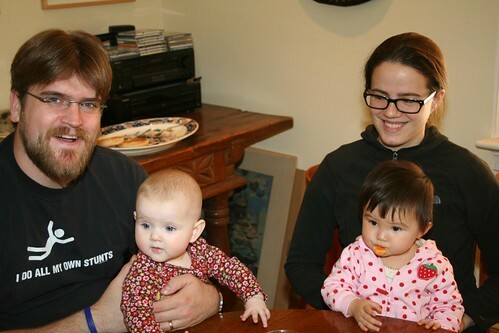 We arrived in Boston, got our rental car, drove to Southborough, and I ran straight to my meeting while Yenari and Hazel slept for most of the day. Because they slept almost the whole day they were wide wide wide awake when it was time for me to get some sleep that night. We had a couple rough days of sleeping and catching up from the difficult 12 hour time difference. On our second night in Southborough we went to see Alden, Katie, Violet – this was the week of baby Field’s arrivial, but he hadn’t quite arrived yet. 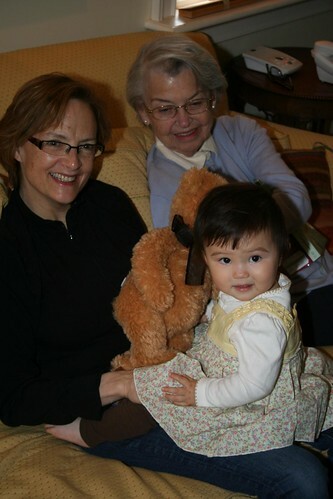 We hadn’t seen Alden and Katie in over a year, so this was the first time they had seen Hazel. It was great seeing them after so long – we had hoped to see a little baby, but we were a couple days early for that. It the excitement of it all I didn’t manage to take any pictures though – booo. Finally, on our way back to the airport on Sunday afternoon, we stopped by Yenari’s high school friend Jungeun’s place in Boston. 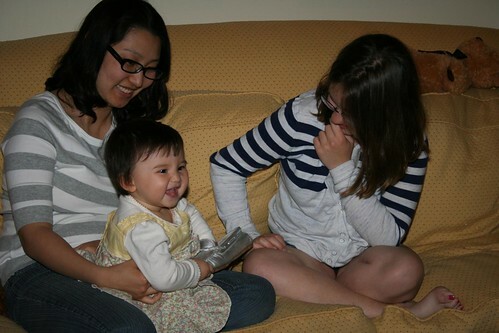 Jungeun and her husband have a little baby boy, so we wanted to have a meeting of the babes. Hazel did a repeat of her jealousy act when Yenari picked up their baby and seemed afraid of him – just like he was with Vera earlier in the day. And with that…our trip was over and back to California we went – this time for more than 12 hours! It was great to see you guys! I hope we can do it again soon! so glad you had time to come visit us – i DID take photos, but none of them came out! looking forward to next time!